Height is when accordion is fully "popped"
Unless you’ve been living under a rock, you’ve probably encountered a PopSocket in the past year or so. 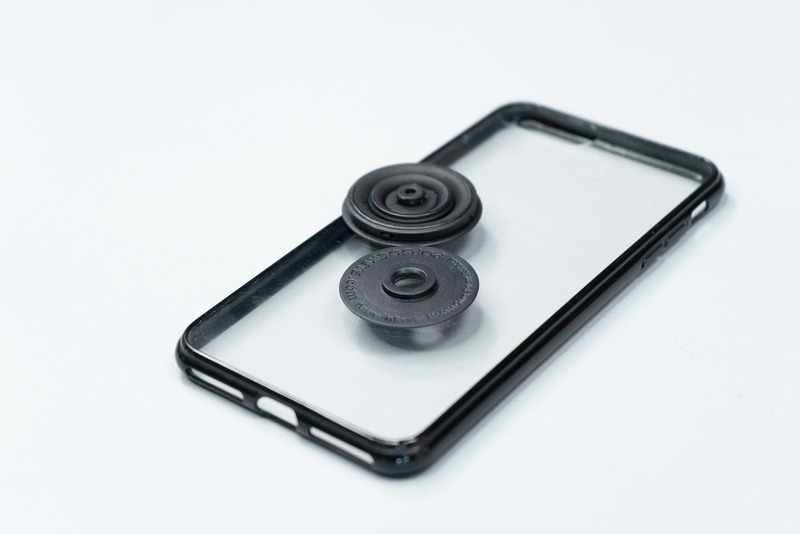 These little circular phone grips have been all the rage among those seeking both fashion and functionality. More than just a fun way to personalize your device, there is some practicality to these little guys—though not a whole lot of durability (which is fine, because they don’t cost a fortune). …Customization! 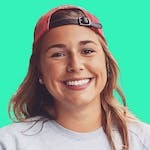 PopSocket buttons are available in a variety of different designs and colors—you can even upload a photo of your own (perhaps a selfie for those who really want the world to know how awesome they are). The current catalog includes everything from plain colors to collaboration pieces with Harry Potter and Justice League. The more standard options sell for around $10, but you can upgrade to the various collaborations or aluminum for an extra $5 (hey, big spender). But the customization doesn’t stop there, accordions and platforms are also available in a variety of colors. We’re boring, so we obviously went with plain black on plain black. On to function. 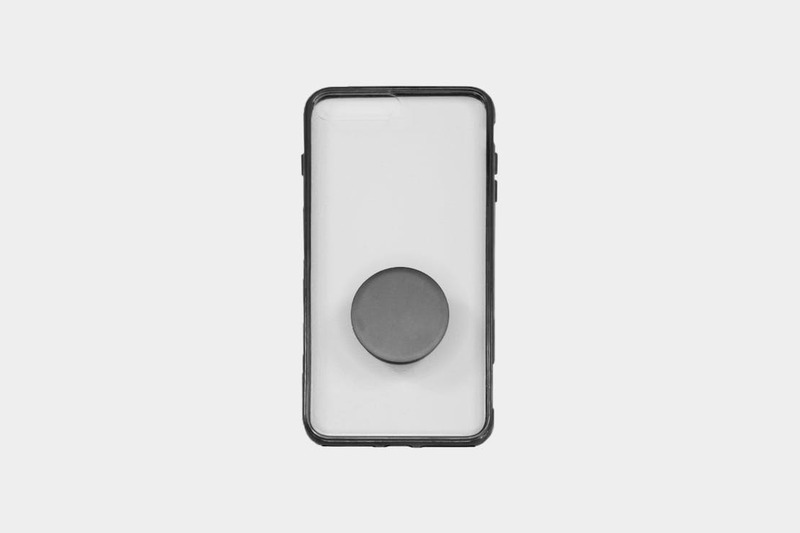 The PopSocket has two primary roles—a grip and a kickstand. 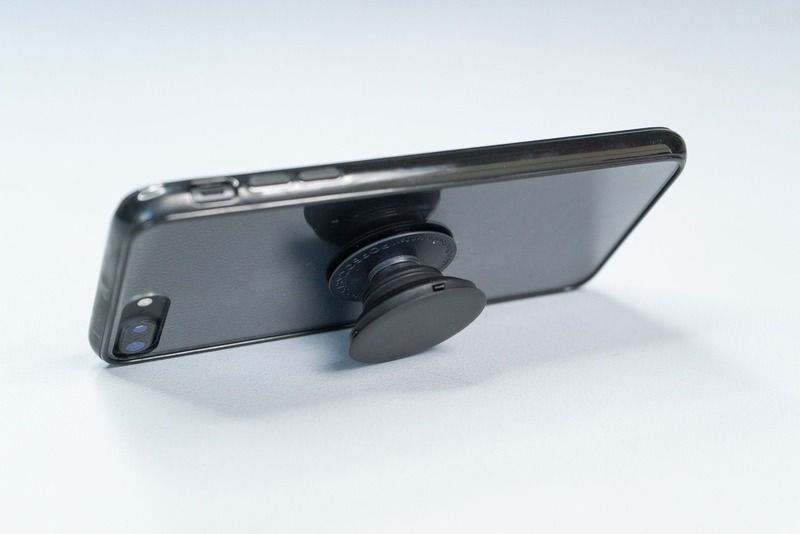 When unpopped, the grip makes it easier to hold and stabilize your phone for photo and video. This is particularly useful if you spend a lot of time on your phone and take your fair share of selfies (or are actually a skilled photographer). Though we’ve found the full hand grip method is still a superior stabilizer, the PopSocket looks significantly less awkward than the claw. 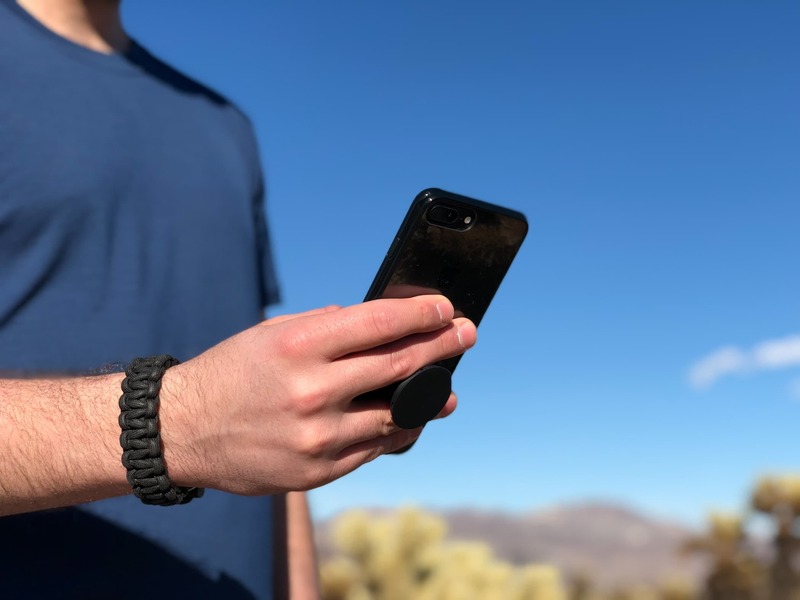 Those rocking larger devices (still unclear if the iPhone Plus is actually just a tablet) should especially benefit from the grip as it keeps your phone in your hand and off the ground, meaning you’ll have less of those “hold your breath and pray nothing is cracked” moments when flipping over a dropped phone. To use it as a kickstand (this really only works when mounting in the middle), pop the accordion out fully or partially with a bend inward at the top. We found this feature most helpful when you’re trying to watch a video but are too lazy to use your hands (holding things is a lot of work sometimes). When it comes to PopSocket placement, it’s really personal preference. You’ll likely have to stick and re-stick a few times to figure out where it feels best in your hand. We’ve found it works best centered horizontally and slightly below the middle of the phone vertically. This allows us to easily rifle through all of our pinned applications and text at seventh-grade speeds. We also recommend sticking it to a phone case to avoid gumming up your actual device but, again, personal preference. We don’t do a lot of traveling in cars but, if that’s your thing, the PopSocket mount could be a good addition. This semi-circle apparatus has a sticker on the back that you can slide your socket into—stick it to your dashboard for hands-free navigating on the go. When it comes to durability, you get what you pay for. The website claims they’ll expand and collapse 12,000 times and will stick/re-stick as many times as you’d like. Regardless of how many licks get you to the center of the Tootsie Pop, we found most don’t make it beyond six months. The biggest cause of that being that the tiny notches that keep the button locked into the accordion start to snap off, resulting in the button becoming loose and eventually falling off. The accordion’s rubber will also start to wear out at nine months (kudos if yours makes it that long). At the end of the day, the longevity of these things is highly dependent on how you use it. If you just pop it to stand and grip, it’ll last you significantly longer than if you’re a fidgeter like us—but, where’s the fun in that? Crisp right out of the box. Feels a bit cheap, but looks and “pops” great. A little challenging to figure out optimal placement based on hand size and personal preference, but the sticker is sturdy enough to withstand multiple sticks. Accordion working well after frequent daily use. Small clips connecting the button to the accordion have started breaking, causing the button to come loose (which is pretty annoying). Button is hanging on by only one clip and the rubber accordion is starting to show signs of wear. We could continue to use it like this, but we’d rather just get a new one. 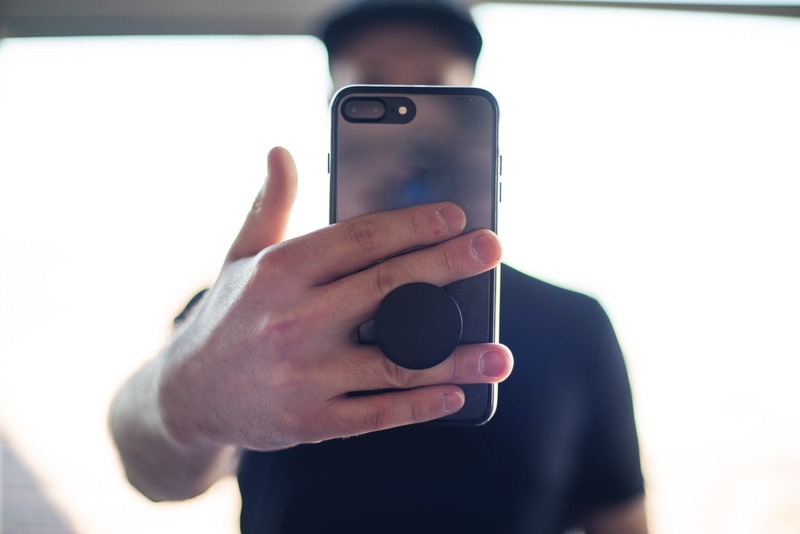 More than just a passing trend, PopSockets are actually pretty useful little gadgets. The dual functionality of the grip/kickstand keeps your phone stable and secure, plus the custom buttons are a fun fashion accessory. The affordability makes up for a lack of durability, and it’s nice to switch them out for a fresh new look every now and then anyway.